Each niche, industry and demographic respond differently to different kinds of marketing. While you may have nailed down a specific strategy for approaching mobile app installs, those same tactics may not be as effective with other kinds of offers. 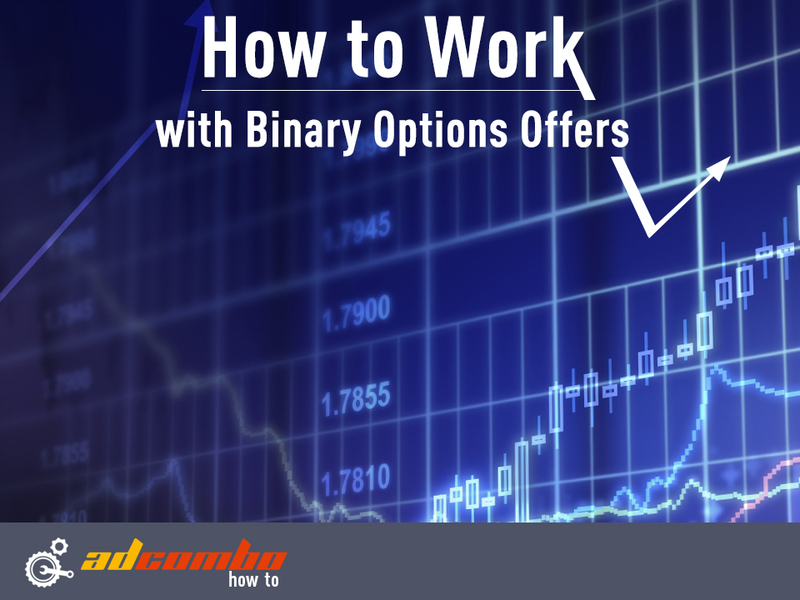 The same is true with binary options offers, which are quickly increasing in popularity all around the world. More and more people are interested in quick and accessible ways to make money, and affiliate marketers are quick to capitalize on and monetize this rising trend. 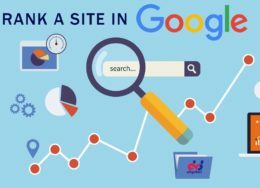 Because the industry vertical can be quite competitive, using traditional PPC marketing can prove especially expensive for the sought after keywords. Strategic testing and experimentation may yield some positive results, but be prepared for a heavier investment, particularly in the beginning. Of course, there is more than one way to skin a cat and some terrific options — many of which more affordable than PPC in this case — are available for successfully promoting binary options offers. Many of these offers operate under a “first time deposit” structure where the commission is based on the user signing up for the service and making at least a minimum initial deposit. Whether or not they actually engage in any active trading after that is inconsequential for the affiliate. Given this, it’s important that you frame your promotional methods in such a way as to encourage that first time deposit. To find these offers from within the AdCombo affiliate dashboard, start by logging into your account as normal. Click on the “Offers” link in the left navigation menu. When on the Offers page, look to the “categories” section where you will find “Forex/Binary options” as one of the choices. Then, click on the “Show” button. This won’t limit the results strictly to binary options, as other forex offers will appear, but this is the easiest place to start. As is the case with many offers within the AdCombo network, the offers here may be geotargeted to specific countries. Keep that in mind. You may also find that some offers require additional approval, so you may need to click on the “Request approval” button on the offers page. Binary options trading is remarkably appealing especially to beginners and inexperienced traders, because the mechanism is so much simpler and easier to understand that more traditional trading in the markets, whether that’s with forex, specific stocks, indices, or any number of other investment vehicles. The risk is always controlled and users know exactly how much is stake each time they participate. With this idea in mind, think about who your ideal target user would be. Is he young or old? What age group? What websites might you target? What keywords and interests may be associated with this demographic, particularly if you intend on using social media marketing through Facebook and other platforms? What retargeting opportunities might be available to you? Perhaps more so than other verticals, the promotion of binary options offers by way of educating the end user can be remarkably effective. The best way to do this is through content marketing, whether you are targeting a user who may be trying binary options for the first time or you are targeting someone who is looking to improve his or her performance with trying to profit from binary options. It helps to be knowledgeable, of course, but you don’t have to write this content yourself. Outsource to a freelance writer and think of it as an investment, just as you might invest in a landing page or an SEO tool. Indeed, great quality content like this can serve just as well as a landing page! Want to take it even further? Educational webinars that approach topics similar to the ones listed above can also draw in a very interested and engaged audience of viewers. Some of the more popular platforms for hosting webinars include GoToWebinar, Anymeeting, and ClickMeeting. These video webinars can then be subsequently uploaded to platforms like YouTube to further capture more leads, which you can then follow up with binary offers. The very nature of “get rich quick” with binary options lends itself to topics encourage clicks and attract users who are more likely to click on “clickbait” type content. Native advertising platforms thrive on this kind of subject matter. Once you have created some of the great content described in the section above, it’s time to start promoting it. Facebook ads might work, but you may find even greater success through native advertising platforms like MGID, Taboola, Outbrain, and Revcontent. In these case, having a stellar title and a great thumbnail image is of critical importance. You need to get those clicks! Tap into an existing audience that has already demonstrated its propensity to engage with the content. Solo ads have been shown to be very effective in the financial vertical, especially with forex, stock trading and with binary options offers too. With solo ads, your well-written promotional message is sent out to an email subscriber list that is specifically targeted for that kind of content. Sometimes the most effective way of doing this is to reach out to an online influencer who you know already has an existing email list. Alternatively, you can look into marketplaces like 10DollarSoloAds, Udimi, and Clickonomy to buy and distribute your solo ads. After gaining some familiarity with what binary options are and how they work, many people assume that the only users who would be interested in such offers would be those in the finance vertical. These are the same users, for example, who would want to engage in stock trading or speculate on real estate or trade in foreign currencies. That’s only partly true! Realistically, given the standard stay/put dynamic of binary options, there is a marked parallel with the world of online gaming and gambling. Users who are already actively playing on online casino sites or playing poker online may also be interested in the enthusiasm and excitement surrounding the fast-paced action of binary options. This opens up your opportunities to an entirely different segment of the market! You may consider utilizing popunders and popovers on gaming sites, as these provide a very cost-effective way of promoting the offers you are trying to push. These users are always anxiously looking for new and exciting ways to make money. Brokers and tools for binary options trading are proliferating all over the Internet. By utilizing some of the tools and tactics described here, you’ll quickly reap the benefits of such growth.